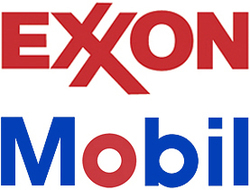 DividendMax»Company Coverage»Country:United States»Exchange:New York Stock Exchange»Sector:Oil & Gas Producers»Company:Exxon Mobil Corp.
ExxonMobil is involved in the exploration, production, manufacture, transportation and sale of crude oil, natural gas and petroleum products. The group also manufactures and markets petrochemicals, packaging films and specialty chemicals in more than 150 countries. The company is best known by consumers for its Exxon, Mobil and Esso brands.